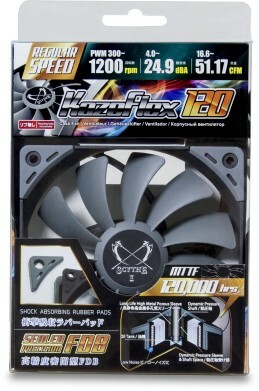 This version of the Kaze Flex series is aimed at users who want a very quiet performance fan. 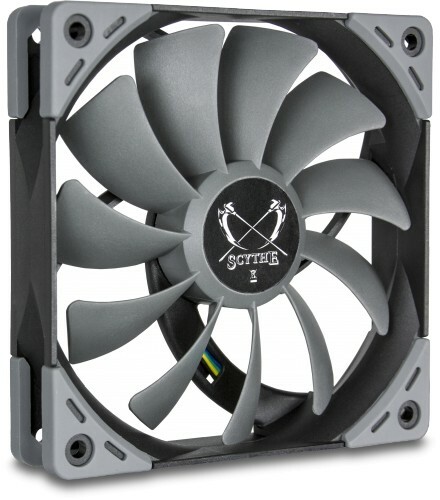 It features Pulse Width Modulation (PWM), where the fan speed will change depending on the temperature of your internal components. 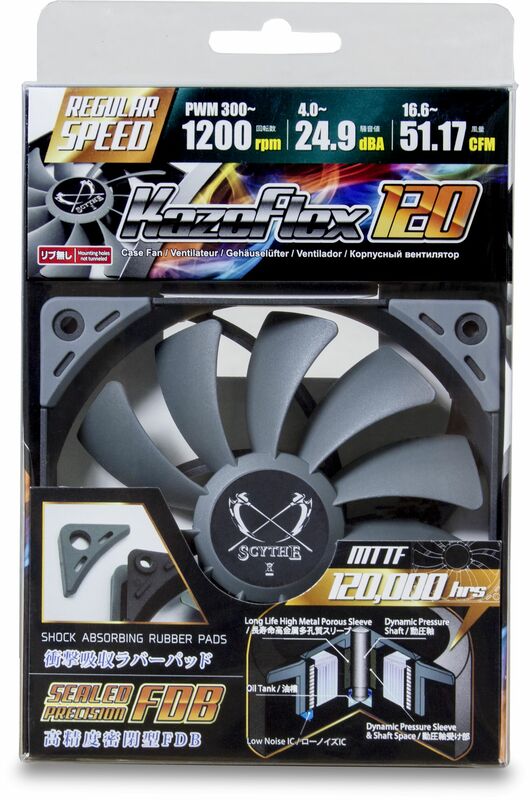 The PWM variant of the Kaze Flex fan series, which are used on the Mugen 5 CPU Cooler are now available separately. The sealed fluid dynamic bearing (Sealed Precision FDB) ensures an average life-span of more than 120,000 hours. Decouplers attached to the fan frame reduce the transmission of vibrations and thus contribute to low noise operation. The Kaze Flex PWM fan is available a well-balanced all round fan as an absolute low-noise solution.